226 pages | 20 B/W Illus. Science is increasingly defined by multidimensional collaborative networks. Despite the unprecedented growth of scientific collaboration around the globe – the collaborative turn – geography still matters for the cognitive enterprise. This book explores how geography conditions scientific collaboration and how collaboration affects the spatiality of science. 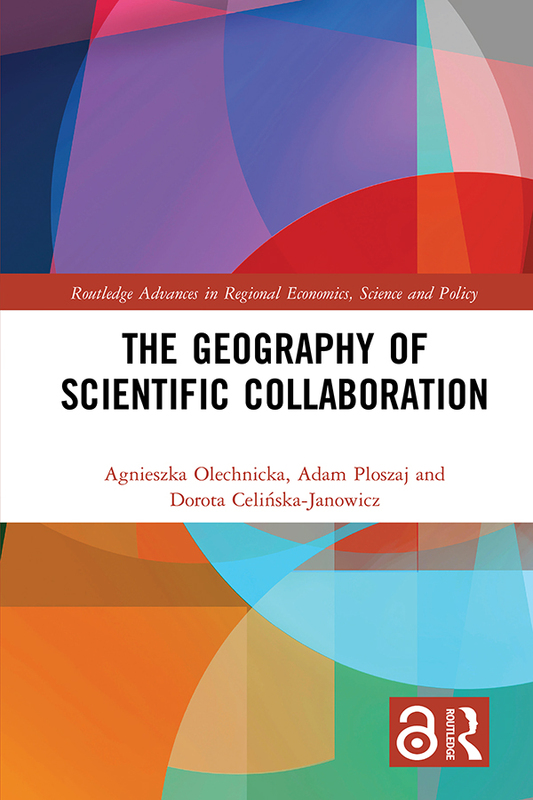 This book offers a complex analysis of the spatial aspects of scientific collaboration, addressing the topic at a number of levels: individual, organizational, urban, regional, national, and international. Spatial patterns of scientific collaboration are analysed along with their determinants and consequences. By combining a vast array of approaches, concepts, and methodologies, the volume offers a comprehensive theoretical framework for the geography of scientific collaboration. The examples of scientific collaboration policy discussed in the book are taken from the European Union, the United States, and China. Through a number of case studies the authors analyse the background, development and evaluation of these policies. This book will be of interest to researchers in diverse disciplines such as regional studies, scientometrics, R&D policy, socio-economic geography and network analysis. It will also be of interest to policymakers, and to managers of research organisations. Agnieszka Olechnicka is an assistant professor and director at the Centre for European Regional and Local Studies (EUROREG), University of Warsaw, Poland. She is the secretary of the Polish Section of Regional Studies Association. Adam Ploszaj is an assistant professor at the University of Warsaw, Poland. Adam frequently advises national and international institutions—including the European Commission, World Bank, and UNDP—on regional development and research policy. Dorota Celinska-Janowicz holds the position of counsellor for student affairs and assistant professor at the Centre for European Regional and Local Studies (EUROREG), University of Warsaw, Poland. She is also the treasurer of the Polish Section of Regional Studies Association.